I suffer from an intestinal disorder. I had collagenous colitis for over a year until it was finally diagnosed and a month or more before it was finally treated. As with most intestinal disorders, it is not pleasant. There were days when I could not leave my house because I had no control. It was the worst year I have ever spent. I was also going through a divorce and a relocation, so the whole situation was horrible. 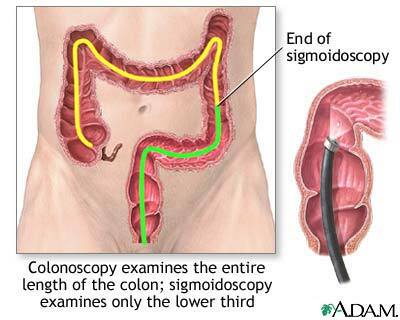 Every six months to a year, I went to the gastointerologist for a check and after about 3 years, the colitis went away. It felt like a miracle. The meds had worked, although they were bad for my kidneys. When the doctor told me that the colitis was gone, I was thrilled. About a year and half after I was “clean,” I started what I and my doctor thought was irritable bowel syndrome (IBS), in which one vacillates between constipation and diarrhea. Except I didn’t have much constipation and the diarrhea lasted for weeks. These past two months have been hell. The diarrhea doesn’t stop; I’m back to days where I can’t go out. Depends help but when you have no control, what can you do when you can’t make it to the bathroom. I have tried two different meds and they haven’t worked. So I made an appointment for another colonoscopy, which is Tuesday. The day I made the appointment, the diarrhea stopped. I was fine for 2 weeks, but yesterday it started again. It is all very sudden. I was out with my granddaughters and I had to take them home earlier than I planned because of it. I almost had a stroke when my daughter, who is angry with me, had her husband say she would not pick me up from my health appointments this week. She finally said she would pick me up for this appointment for the colonosocopy but I had to cancel the surgery, which can wait though I am in pain. I can’t wait to do the prep for the colonoscopy because then there will be nothing left in me and this will stop (I hope). As for my problems with people picking me up from the hospital when I have procedures, I am taking a cab to the procedure, but it doesn’t solve the other problems. I fear getting sick because I know my daughter won’t be there for me. My sister suggested that I call the hospital social worker and maybe that is a possibility. Joanne also wants me to move back to where I’m from, but honestly I don’t think I could live there. It is a small town and rather provincial, and I don’t think I could survive there. I’m Muslim and this small town is not very welcoming to “strange” people. My daughter read my blog and since I had blogged about her and her family, she was very angry. So I had to start another blog and hope people follow me to it. She has cit me off. We were supposed to go to a week’s late Mother’s Day Brunch this weekend but that didn’t happen. She wasn’t so much upset at the recent posts as posts I wrote a year ago from a private blog that inadvertently transferred to the public blog. I really let loose in those blogs especially when her husband threw me out of their house after I had house-sat for them and their dog bite be badly and I had a terrible infection from it. They blamed me and said I got bit on purpose so the dog would be quarantined (how ridiculous). We didn’t speak for nearly two months and then at the therapist’s office which wasn’t pleasant. She must not have much to do if she has time to read through 300 posts to get to the bad parts. I would have deleted them if I had known she would see them. I would have written them and then burned them. She is just like my mother. No matter how much I say I’m sorry and apologize, she says,”You’re not sorry.” She’s like my mother in many other ways and she scares me with her anger the way my mother did. They both have terrible tempers and everything is always about them. Even though my mother has been dead 20 years, thinking about her anger still upsets me. So does thinking about my daughter. We are very different people and I think don’t like each other very much. She remembers every wrong thing I ever did since she was a child and doesn’t hesitate to bring it up. Even when I explain why things happened, it doesn’t seem to matter. She doesn’t seem to be willing to forgive anything nor does she remember the things I have done for her when she was in dire need of help and there was no one else to help her, as when she left her first husband. I supported her through that with money and as much time as I could. But that wasn’t enough for her. She remembers when I couldn’t be there. I have given her a substantial loan from my retirement so she and current huisband could pay off loans, but stopped making payments until I asked and then stopped again because they had more important things to do like go on vacation, buy iPads, etc. I asked again for payments and offered to extend the loan but she was insulted and said they would mortgage the house to get the money. (They won’t.) My son-in-law did give me a payment yesterday, the first in months, which I appreciate. Suffise it to say that I don’t feel well physically nor emotionally today. I don’t know what the next weeks and months will hold for us. We have an appointment at the therapist in June; maybe that will help. I hope so. I feel like cutting again, which I haven;t done in a long time, but I don’t know what will relieve the stress. The anti-depressants and anti-anxiety drugs work up to a point. But this stress is too much. My former blog was My Life, Such As It Is.